Der Beitrag beschäftigt sich mit der Dynamik und den psychischen Folgen früher Traumatisierung nach invasiven körperlichen Eingriffen. Mit der psychoanalytischen Methode der teilnehmenden Säuglingsbeobachtung wird zunächst versucht, sich dem Erleben eines Babys in seiner Beziehung zur Mutter anzunähern. Im behandlungstechnischen Teil wird in zwei Beispielen gezeigt, wie frühe traumatische Erfahrungen innerhalb der Übertragungsbeziehung vom Therapeuten aufgenommen, gehalten, gefühlt und gedacht werden können. Grundlegend für das Verstehen des therapeutischen Prozesses ist das Container-Contained-Modell von W. Bion. Psychodynamic approaches to children and adolescents traumatized at an early age: "Understand what I can't think and can't say"
The article examines the dynamic and the psychic effects of early traumatization after invasive physical treatment. In part one of the article the attempt is made to approach the experience of a baby in its relationship to its mother through the method of participating infant observation. Part two is treating the therapeutic approach and examines how early traumatic experiences within the transference relationship can show up and how they can be received, held, felt and thought by the psychotherapist. For understanding the therapeutic process the Container-Contained-Concept from W. Bion is crucial, since it addresses the transformation of emotional experiences into symbolic material. Kunsttherapie, Sandspiel, frühkindliches Trauma, Körpergedächtnis, nonverbaler Ausdruck, therapeutische Beziehung. With art therapy, it is possible to get access to early stage traumatic experiences and also to enable non-verbal expressions regarding pre-linguistic realities. Essential factors are the playful and creative process and also the therapeutic relationship. Through Sandplay therapy as a part of art therapy, early-stage threatening body-memories resting in the implicit memory can be projected on the image-level. This process is illustrated by introducing a case study regarding a child with early childhood trauma. 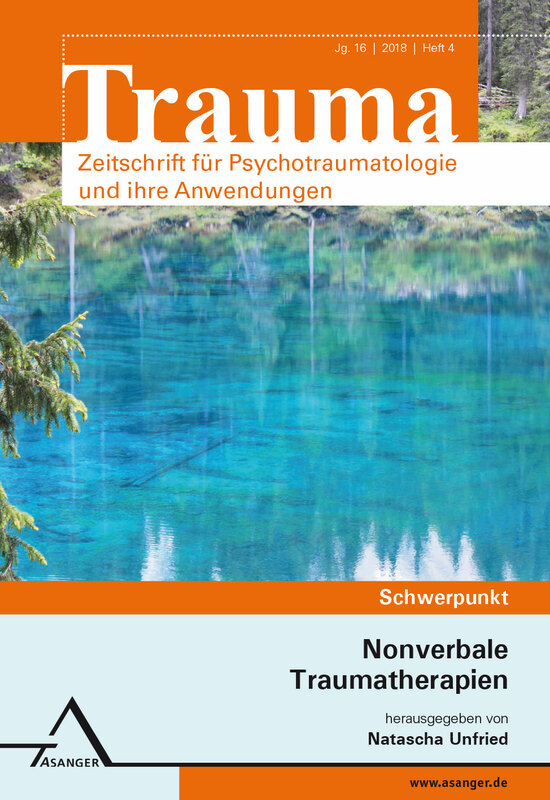 Psychiatrische Ergotherapie im ambulanten Einzelsetting wird in Verbindung mit psychodynamischen und psychotraumatologischen Erkenntnissen und Therapieansätzen in ihrer besonderen Dynamik beschrieben. Anhand einer Fallgeschichte soll aufgezeigt werden, was es für eine Therapie bedeutet, wenn die Grundursache für das Störungsbild zunächst lange im Dunkeln verborgen bleibt und erst im Verlauf ans Licht kommt. Die tätigkeitsorientierte Therapieform der Ergotherapie trifft hier auf eine Situation, in der die Befähigung in der Hilfe zu Selbsthilfe mit existenziellen Körperreaktionen und seelischen Themen konfrontiert wird. The description of a psychiatric occupational therapy in an ambulant setting in connection with psychotraumtical knowledge and methods and its specific dynamic. It tries to show, what it means for a therapy if the origin of the disturbance is hidden in the darkness for a long time until it becomes clear and obvious. The Occupational Therapy as an occupation centered way of therapy that wants to enable in the help for self-help gets here in contact with existential basic reactions of body and soul. Musiktherapie als Beziehungsangebot stellt eine große Chance in der Begleitung und Therapie von traumatisierten Kindern und Jugendlichen dar. Sie kann dem enttäuschten Vertrauen in Beziehungen und Bindung eine neue Erfahrung, eine positive therapeutische Begegnung entgegensetzen. Wichtigster Wirkfaktor ist die Beziehung zwischen Therapeut und Klient/Patient, die durch Verlässlichkeit, Stabilität und empathische Annahme des Kindes bzw. Jugendlichen durch den Therapeuten gekennzeichnet sein sollte. Durch die Zuwendung zu Musik kann man sich zum einen als Objekt im Hier und Jetzt verankern, zum anderen sich durch musikalische Tätigkeit selbstwirksam, kreativ und in selbstbestimmter Interaktion als Gegenpol zur früher erlebten Hilflosigkeit erfahren. Music therapy as a method for creating relationships represents an immense chance for support and therapy of traumatized children and adolescents. It can counteract the disappointed trust in relationships and commitments with a new experience, a positive, therapeutic encounter. The most important power component is the relationship between the therapist and client or patient, which should be characterized by reliability, stability, and empathetic acceptance of the child or adolescent by the therapist. On the one hand, music provides the chance to anchor oneself as an object in the here and now through the devotion to music. On the other hand it provides the chance to experience oneself as self-efficient, creative, and in a self-determined interaction as an antithesis to the previously experienced helplessness. Jede und Jeder kann Opfer einer Straftat werden. Nicht selten werden Opfer von Straftaten mit ihren Empfindungen wie Schock, Angst, Wut, Empörung oder Scham allein gelassen. Hier setzt die psychosoziale Beratungs- und Begleitungsarbeit der Opferhilfe Sachsen e.V. an. Ein methodischer Ansatz des Verstehen der Reaktionen der Menschen, die eine Gewalttat erlebten, ist das lösungsorientierte Malen. Im Prozess des Malens verarbeiten die Betroffenen ihre traumatischen Erlebnisse und Erinnerungen. Die dabei aufsteigenden Ängste werden durch die Beraterinnen und Berater der Opferhilfe begleitet. Gemeinsam mit Traumatherapeuten, Ärzteschaft und Psychologinnen wird ein Netzwerk an Hilfen aufgebaut. Each and every one of us can become a victim of a crime. Frequently victims of crimes are left to deal with their feelings of shock, fear, anger, outrage, or shame by themselves. This is where the psychosocial counseling and support of the Help for Victims in Sachsen Association steps in. One systematic approach for understanding the reactions of people who have experienced an act of violence is solution-oriented painting. In the process of painting the victims and survivors come to terms with their traumatic experiences and memories. Counselors of the Help for Victims Association in Sachsen provide support to deal with the fears that emerge. Together with trauma therapists, doctors, and psychologists they create a network of help. Kinder haben ein natürliches, lebenserhaltendes Bedürfnis, sich auszudrücken und zu lernen. Unter den schwierigen Lebensbedingungen in einem Erstaufnahmelager kann eine therapeutische Malgruppe die Erststabilisierung und Neuorientierung der Kinder und Jugendlichen nach der Flucht unterstützen. Sie bietet Halt und Struktur im Camp-Alltag sowie für eine gewisse Zeit einen Schutzraum und Interaktion mit einer stabilen Bezugsperson. Angesichts der Sprachbarriere bietet das therapeutische Malen als nonverbale Interaktionsform vielfältige Möglichkeiten und verbindet die Kinder und Jugendlichen wieder mit den kreativen Potentialen in ihnen selbst und damit mit ihren Selbstheilungskräften. Children have a natural and vital necessity to express themselves and to learn. Taking into account the difficult living conditions in a first reception center, therapeutical painting classes can support primary stabilisation and new orientation for refugee children and adolescents after the flight. The classes offer stability and structur within the everyday life in the camp, a temporary shelter and constant interaction. Facing severe language barriers, therapeutic painting classes offer manyfold options of nonverbal interaction and reconnect children and adolescents with their own creative potential and hence with their self-healing power. Inas Lebensgeschichte mit dem traumatisierenden Erlebnis in der frühsten Kindheit wird als Ausgangspunkt für das musiktherapeutische und interdisziplinäre Handeln dargestellt. Freude am musikalischen Ausdruck als persönliche Ressource des Mädchens kann genutzt werden zur emotionalen Stabilisierung. Dies bildet die Grundlage für die Einzelmusiktherapie, die im zweiten Abschnitt beschrieben und theoretisch hinterlegt wird. Im dritten Abschnitt wird die Weiterführung der therapeutischen Arbeit in einem integrativen Setting gezeigt, wobei der Ansatz der Community Music Therapy nach B. Stige einbezogen wird. Ina's life story with her traumatic experiences in earliest childhood is shown as a starting point for music therapy and interdisciplinary actions. Joy through musical expression as the girl's personal resource can be utilized for emotional stabilization. This creates the basis for individual music therapy which is described in the second section along with its foundation in theory. In the third section the continuation of therapy in an integrative setting is shown, whereby the use of community music therapy according to the teachings of B. Stige is included. Kinder sind von Naturkatastrophen in besonderer Weise betroffen. Aufgrund des spezifischen Situationserlebens ist ihr Risiko für die Entwicklung von Traumafolgestörungen im Vergleich zu Erwachsenen relativ hoch. Eine altersspezifisch differenzierte Psychosoziale Notfallversorgung (PSNV) ist daher angebracht. Vor diesem Hintergrund greift der Beitrag international etablierte Leitlinien auf und bietet einen Überblick über Interventionsformen-, -prinzipien sowie konkrete Handlungsempfehlungen für den Umgang mit Kindern und deren Familien, die auch in Deutschland umgesetzt werden sollten. Children are particularly affected by natural disasters. Due to the specific situational experience, their risk for the development of traumatic disorders is relatively high compared to adults. An age-specific differentiated psychosocial emergency care is therefore appropriate. Against this background, the article takes up internationally established guidelines and offers an overview of forms of intervention and principles as well as concrete recommendations for dealing with children and their families, which should also be implemented in Germany. In der PT-Richtlinie sind Traumabehandlungen i. S. von Typ-I-Traumatisierungen gut etabliert. Die Behandlung komplexer Traumafolgestörungen nach Typ-II ist in den psychodynamischen Verfahren nur bei Darstellung eines psychodynamischen Störungsverständnisses möglich. Neue Anforderungen an die Darstellung der Psychodynamik ergeben sich durch die Richtlinien-Reform 2017. Der Beitrag liefert vor diesem Hintergrund eine heuristische Systematik für die Psychodynamik beider Typen. In the meantime, treatment of trauma for verified PTSD i. S. acute I traumatization is well established in the Psychotherapy Directive. In psychodynamics procedure, treatment of Type II complex disorders resulting from trauma is only possible when psychodynamic types of disorders are displayed. New requirements for the display of the psychodynamics arise from the guidelines reform of 2017. 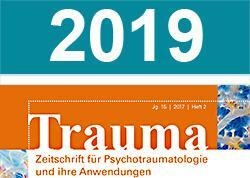 Against this background the article delivers a heuristic classification for the psychodynamics of both types of disorders resulting from trauma, whereby a didactic processing guide is given for the description of cases conforming to the guidelines.